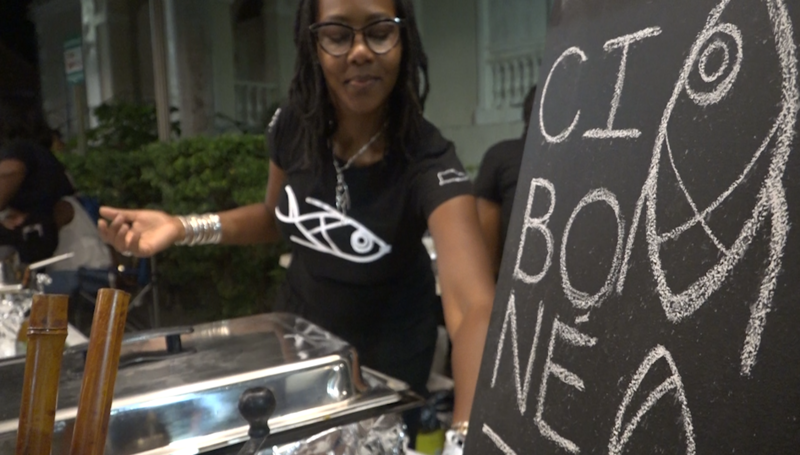 An annual food event in St. Croix is bringing the islands best restaurants out to one place. “We servin Creole sauce over mahi, local mahi, and mofongo,” Almaira Richards, with Cibone said. The Frederiksted restaurant was just one of the dozens of food spots featured at this years’ Taste of St. Croix. A new location for the over 17 year tradition. “The last time I actually came out to it, it was over a Divi Carina Bay but I love the fact that they have it here because to me it gets the community more engaged because it is a closer area,” Tamara McIntosh from St. Croix said. Local chefs, caterers, vendors, specialty cooks and baristas and bartenders lined the street giving taster’s an endless amount of options to satisfy any craving. “Just to get our name out there and I think we did a really good job,” Xaia Todmann, Owner/ Chef at The Sweet Stuff said. “This is Ouo Wee I created this in the backyard of the Virgin Islands right here in Christensted, St. Croix with the help of the team that put Cruzan Rum line together,” Nigel Walwyn, Founder of Ou-Oui said. Tickets for the event normally sell out in one day. Being here, it’s not hard to see why. And all the proceeds go right back into the community. Most of all it’s about bringing people together and enjoying a taste of life in St. Croix. “This is a full taste the taste of the Virgin Islands. Taste of St. Croix,” Positive Nelson, Agriculture Commissioner said. “Taste of Love,” Digby Stridiron, Chef at Braata/ AMA added.